While some blame the ruling Peoples Democratic Party for the activities of the Boko Haram sect, and Buhari labels the present administration as the “the biggest Boko Haram“, the PDP Chairman Alhaji Bamanga Tukur has spoken out about the sect, stating that it is simply fighting for justice. 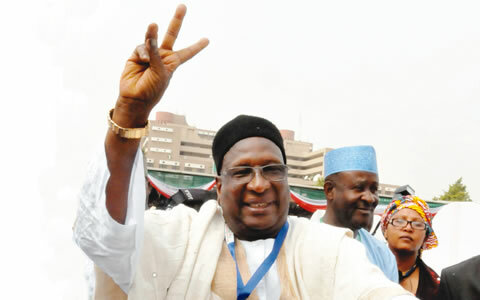 Speaking on Tuesday in Abuja where he received Gombe State Governor Ibrahim Dankwabo and his entourage at the party’s national secretariat, National Chairman of the PDP, Alhaji Bamanga Tukur stated that the activities of the sect are borne out of injustice, and there can be no peace until it is addressed. “We should remember that a child who says his mother would not sleep will also not sleep,” he warned. He also highlighted the fact he chose to host a reception where he was honoured by party members in his village, as opposed to Abuja as a sign of his commitment to spotlighting poverty. I love what I've seen so far. Kudos to whoever is behind this project. The sky is the begining of your limit.